Sean Kilgus, BFY Productions, has created another masterpiece in DRIVE. He has stretched the limits to bring us, the viewers, unique angles during the filming of this video. The use of zip lines during slider sessions will truly give us a vantage point and perspective unseen before. The Rider line up in DRIVE The Video is as red carpet as it gets : Randall Harris, Rusty Malinoski, Danny Harf, Chad Sharpe, Trevor Hansen, Jimmy Lariche, Benny Greenwood, Gabe Lucas, JD Webb, Jeff McKee, Erik Ruck, and Adam Errington. Stay tuned for WakeboardNorthwest continued coverage of DRIVE The Video which will include a post release interview with Kilgus, and multiple photo galleries shot on location in Eastern Washington State (w/ Ben Greenwood, Randall Harris, Jeff Mckee). Also check out the July 2008 Issue of WakeBoarding Magazine which has an interview with Kilgus that is worth the read (starting on page 119). * GO PICK UP A COPY OF DRIVE THIS WEEK ! To watch the “Official Teaser” of DRIVE The Video, click here. Who has picked up a copy of DRIVE - since the release last week? 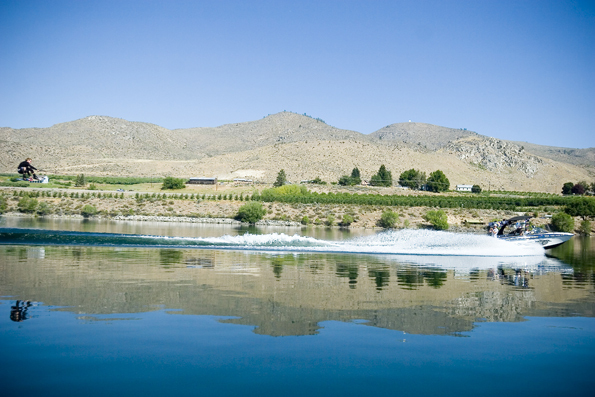 What did you think of this wakeboard video ? Where does the video rank, in your opinion, to other films out this year ? What parts / rider sections stood out ?